This entry was posted on October 12, 2015 at 2:12 pm and is filed under 80's, film, halloween, horror, monsters with tags 80's, film, halloween, horror, monsters. You can follow any responses to this entry through the RSS 2.0 feed. You can leave a response, or trackback from your own site. I found the coincidental homoeroticism of the 2nd movie quite hilarious. The looks on their faces as they’re talking about those points in the movie were priceless. Oh I know! The segment about part 2 was better than the film! I really enjoyed this documentary. It’s sad that by the time they got to Part 4, they started making the damn things before they even had their scripts finished. (No wonder Parts 4, 5 and 6 make no sense.) Still, though I love the first two movies (yes, I admit it, I LOVE Part 2! ), and this was a damn good documentary. I love that you love part 2, because that’s rare! I absolutely loved this documentary. I used to have a book that chronicled a lot of the same territory and I lost it some years back in a house move. aRGH! The damn thing’s not in print anymore. 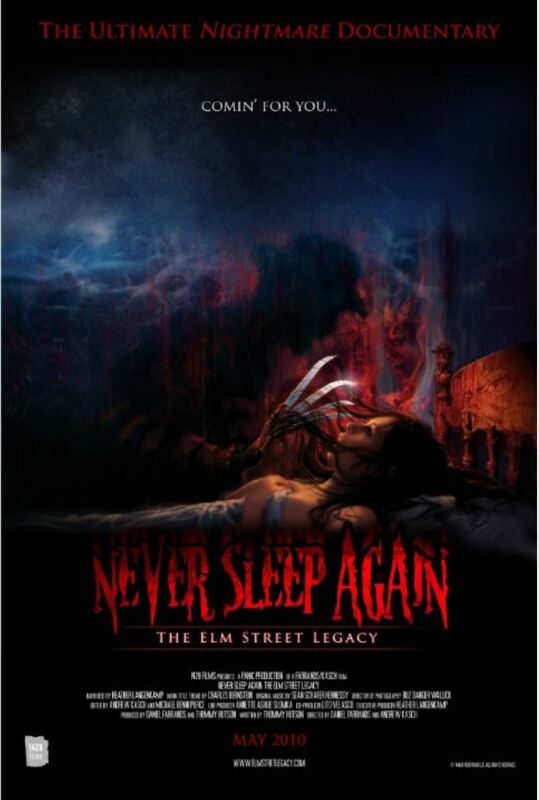 Still this documentary is ace, it made me want to see all the Elm street installments I missed back in the day – like the terrible tv show. It didn’t air here but you could rent it in the video shop . I have vivid memories of classmates talking about the implausible plot lines on the school bus. Rest in Pieces Wes Craven , you left behind a legacy!